Kick start your day, April 20: â€˜Laglag-balaâ€™ strikes again at NAIA? Kick start your day, April 20: ‘Laglag-bala’ strikes again at NAIA? Plus, LRT1 eyes rail replacement by September 2017. After last year’s high scare and various probes that ensued over the bullet-planting scheme at the country’s international gateway, a 75-year-old grandmother was stopped at the Ninoy Aquino International Airport (NAIA) on Tuesday, April 19, for allegedly concealing a bullet. Salvacio Cortabista, a native of Guian, Eastern Samar, was headed to San Diego, California was stopped from leaving via a Korean Airline flight after a .38-caliber bullet was detected via x-ray inside her shoulder bag. Cortabista was accompanied on her trip by her 78-year-old husband Esteban and they were supposed to visit a daughter who lives in San Diego. Cortabista’s daughter Emy said they had inspected her mother’s bag thrice before going to the airport to get rid of any unwanted materials. 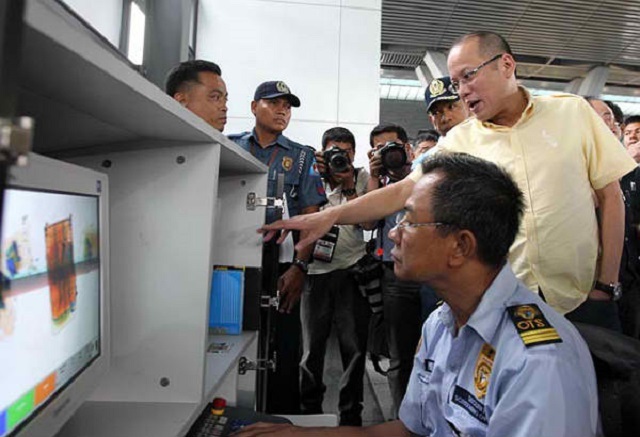 In November last year, President Benigno Aquino III ordered the Department of Transportation and Communications (DOTC) to improve its efforts against the alleged "laglag-bala" extortion scheme of airport authorities. The incidents of such made headlines worldwide, and passengers guarded their travel belongings more than ever, wrapping their luggage tightly in packaging tape or plastic wraps to ensure no bullets would be planted in them. After a March viral video of Light Rail Transit line 1 (LRT 1) showed it was running with door open, the oldest of the country’s three elevated lines is eyed to have its 29-kilometer aging rails replaced by September 2017. With the rails replacement, Light Rail Manila Corporation (LRMC) said the rides would be smoother and less noisy for those living near the tracks. Apart from the rails, LRMC is also working on rehabilitating the elevators and escalators in train stations. New light rail vehicles (LRVs) are also expected to be delivered soon to augment the LRT's existing fleet.